Update: The Connecticut Feeding Our Families event that was scheduled for Saturday, April 13th has been postponed. NBC CT and Telemundo CT, along with our community partners and Stop & Shop want the annual food drive to be as successful as possible. We will reschedule the event for a future date. Joining together to help Tri-State food banks replenish non-perishable supplies and sustain essential anti-hunger efforts, NBC Connecticut / WVIT, Telemundo Connecticut / WRDM and Stop & Shop are coming together in support of two local food banks on Saturday, April 13 for the second annual Feeding Our Families (or Alimentando a Nuestras Familias in Spanish) food drive. The food collection drive will take place at all local Stop & Shop locations throughout Connecticut between the hours of 9 a.m. and 6 p.m.
One of the largest, single-day, multi-state food drives in the Northeast, Feeding our Families has generated more than two million meals for local families. “NBC Connecticut and Telemundo Connecticut are excited to be a part of the state’s largest single day food drive, Feeding our Families! We are dedicated to connecting with our community and this event is a perfect example of how our loyal viewers, local food banks and dedicated employees come together to fight hunger and help our neighbors in need" said Susan Tully, NBC CT and Telemundo CT president and general manager. 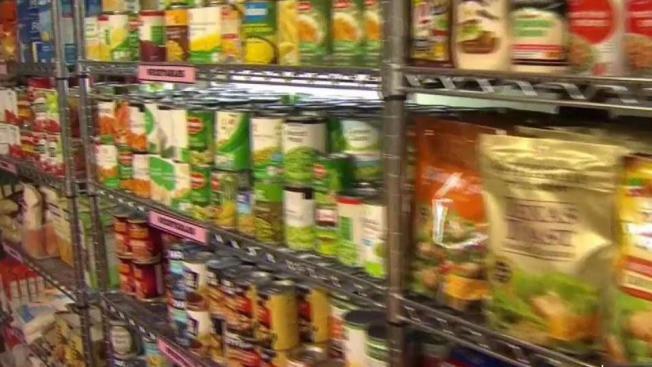 With food banks facing their greatest need between the months of January and August, more than 300 tons of essential non-perishable goods have also been donated to regional food banks throughout the tri-state region in New York, New Jersey and Connecticut. No dairy, no glass, no produce, please. the Stop & Shop supermarkets that day to support the collection efforts.NBC Connecticut and Telemundo Connecticut will be broadcasting live from several Stop & Shop locations on Saturday, April 13. The presenters, reporters and employees of both stations will also visit the Stop & Shop supermarkets that day to support the collection efforts. Come say hello!